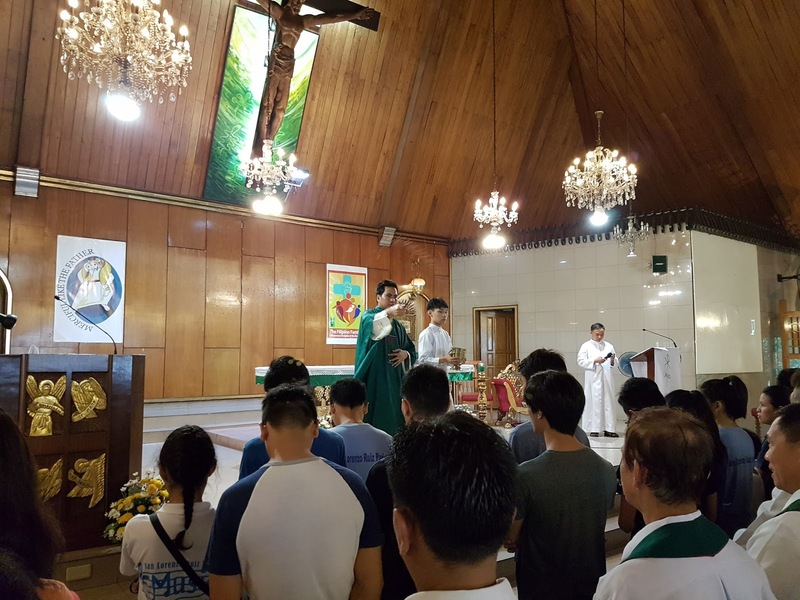 SLRP officially started its spiritual preparations for the forthcoming fiesta with the first Novena Mass to San Lorenzo Ruiz last July 24 during the 10:00AM mass. Fr. Rechie Gier was the main celebrant. On this Sunday, he expounded on the gospel reading where the apostles asked Jesus to teach the how to pray. 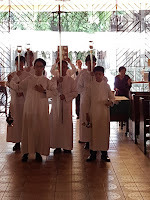 It was a fitting start of the novena as it is a form of prayer, recited over nine periods. 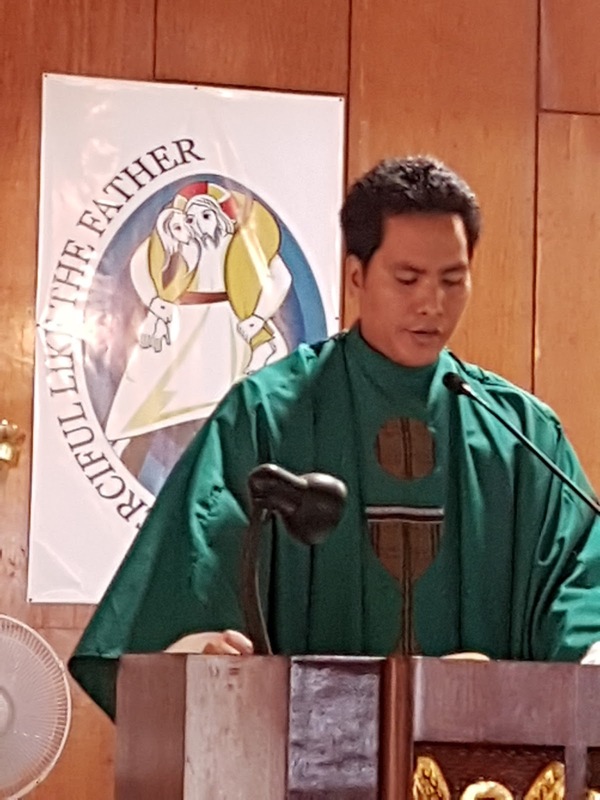 In SLRP's case, the novena devotion to SLR starts nine Sundays before his feast. In his homily, he expounded on what our important focus should be when we pray. According to him, it is not the form nor the kind of prayer that is important but what is one's intention in praying. He asked the parishioners gathered if they had already had their intention when they came in for Sunday mass. What is our purpose or intention for coming to Mass and praying? Jesus taught His disciples the Our Father as a way of praying to God. - do not say "Amen" if you do not take the words of the Our Father seriously. It was a new take on the words and meaning of the Our Father, and especially makes one conscious of one's intention when praying. After communion, Fr. 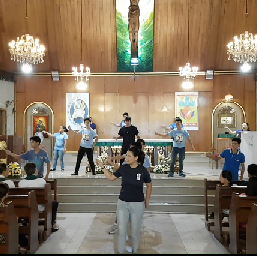 Rechie gave a blessing to all the youth present after which the PYM presented a dance number that conveyed the message to the youth to actively participate in our society and help build a better social environment in our communities. 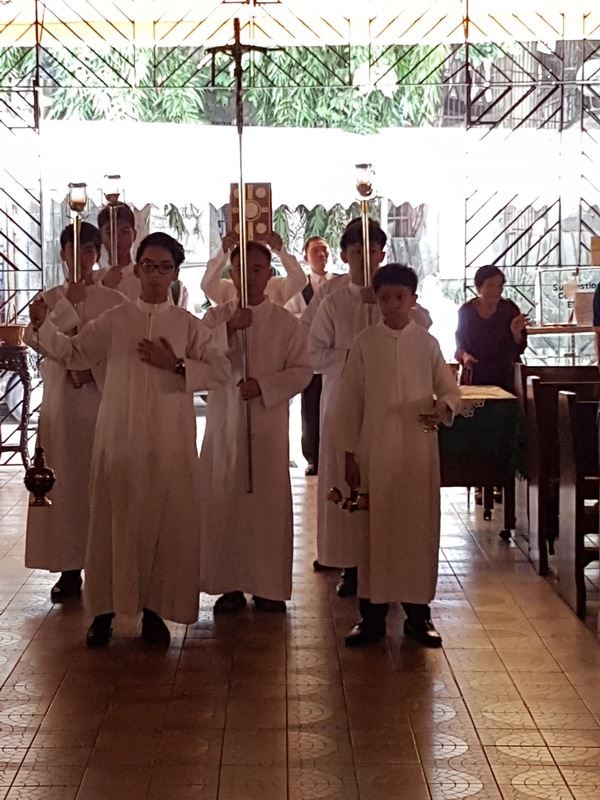 In the mass, Fr. Rechie also announced that the Sunday 5PM mass will now be the Youth Mass to give importance to the youth and to encourage them to participate more in parish activities. 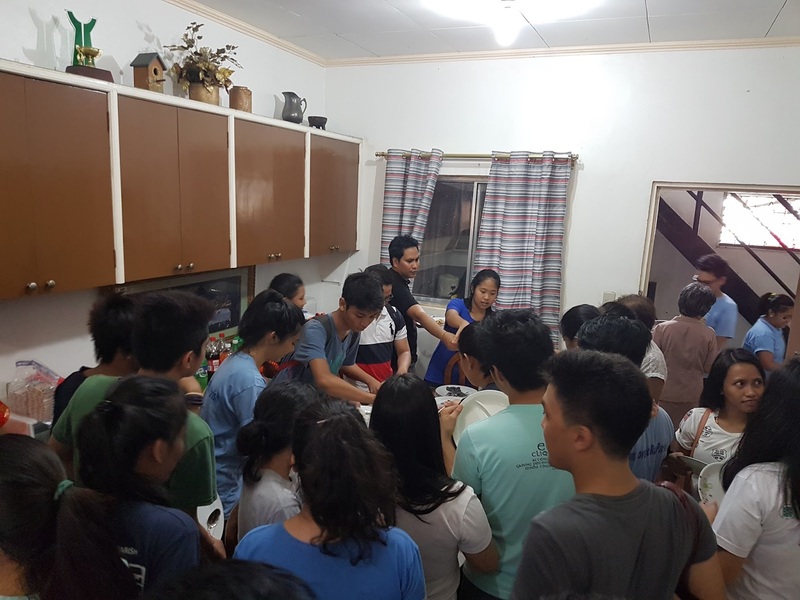 After the mass, a hearty lunch among the priests, members of the youth and mass media and Cruz Compound, were gathered at the convent. It was a befitting start to SLRP's fiesta preparation.